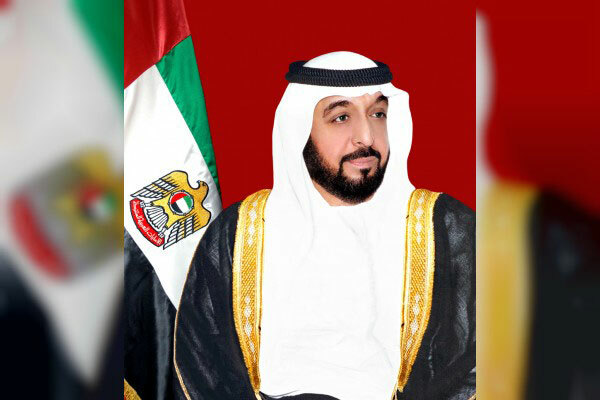 UAE President His Highness Sheikh Khalifa bin Zayed Al Nahyan, has declared 2019 as the 'Year of Tolerance', highlighting the UAE as a global capital for tolerance, via its various legislative and policy-oriented goals to enhance the role of the country in instilling the values of co-existence and peace in local, regional and international communities. Sheikh Khalifa said that the Year of Tolerance is an extension of the Year of Zayed, as it upholds the values of tolerance and co-existence that the late Sheikh Zayed bin Sultan established among the people of the UAE, reported state-run Wam. "Instilling values of tolerance carries on Sheikh Zayed's legacy and teachings," Sheikh Khalifa bin Zayed affirmed, adding that it is one of the most important attributes that we can impact on our people and the global community to ensure the safety, stability and happiness of peoples across the world. The Year of Tolerance will focus on five main pillars. First, to deepen the values of tolerance and co-existence among cultures and peoples by concentrating on teaching the youth on the values of tolerance. The second pillar seeks to solidify the UAE as the global capital for tolerance, via a series of initiatives and projects specialised intolerance and dialogue between various cultures and civilisations. Third, enacting multiple cultural programmes and contributions to build tolerant communities. As for the fourth pillar, a focus on legislative and policy-oriented objectives that contribute mandating cultural and religious tolerance, via dialogue. Lastly, the fifth pillar will focus on promoting tolerance and co-existence via targeted media initiatives and projects. The UAE President affirmed that declaring 2019 as the Year of Tolerance reflects the approach adopted by the UAE since its establishment, to be a bridge of communication between the peoples of world, and their various cultures, in an open and respectful environment, that rejects extremism, and emphasises acceptance of the other. Sheikh Khalifa bin Zayed noted the critical role the UAE plays in building global tolerant societies, adding that the country has for decades "carried a global message" for tolerance and cohesion. President Sheikh Khalifa went on to say, "We look forward to further contributing towards building societies that believe in the values of tolerance, cohesion and dialogue, and establishing concrete models improving tolerance and co-existence both regionally and internationally." "Here in the UAE," Sheikh Khalifa concluded, "the Year of Tolerance will be celebrated as a national effort towards further advancing a decades-long dream of creating a tolerant and cohesive society, open to peoples of varying cultures and religions from around the world. The UAE and Tolerance go hand-in-hand." For his part, His Highness Sheikh Mohammed bin Rashid Al Maktoum, Vice President, Prime Minister and Ruler of Dubai, said, "We want government policies that further consolidate tolerance and a deep sense of community, and to spread these values among our youth and future generations." He called for making the Year of Tolerance a year of achievements, filled with programmes and projects that reflect the importance of the values of tolerance, especially in the Arab world, the birthplace of religions and cultures. "The UAE must lead the way for intellectual, cultural and media initiatives that further consolidate the values tolerance and co-existence, opening up to cultures of the region and the world as a whole," he said. Commenting on the announcement, His Highness Sheikh Mohamed bin Zayed Al Nahyan, Crown Prince of Abu Dhabi and Deputy Supreme Commander of the UAE Armed Forces, stressed that nations built on values of tolerance, love and respect are those that can achieve lasting peace, security and stability on their development journeys. "The UAE is a place of tolerance, co-existence and openness to other cultures," Sheikh Mohamed bin Zayed affirmed, adding that tolerance, pluralism, and societal integration are among the most important indicators of a country's development. He noted that the Founding Father, the late Sheikh Zayed bin Sultan Al Nahyan, established the UAE as a global model for tolerance, co-existence and cooperation, and was keen to inculcate these values among his people, who to this day, continue to embody their meanings in every way both within the UAE and beyond. In July 2015, His Highness Sheikh Khalifa issued Federal Decree Law No. 02 of 2015 on Combating Discrimination and Hatred, which aims to protect everyone in the UAE, via a solid legislative ground for the environment of tolerance, co-existence and acceptance. The law aims to fight discrimination against individuals or groups based on religion, caste, doctrine, race, colour or ethnic origin. Also, in 2016, the UAE Cabinet introduced the first post of the Minister of State for Tolerance. In the same year, the UAE Cabinet launched the National Tolerance Programme, to boost the values of tolerance and co-existence and to reject attitudes of discrimination and hatred. The UAE also established various centres to counter extremism, including the International Institute for Tolerance, the Hedayah Centre, and Sawab Centre. The country was also recognised for its initiatives and programmes to advance tolerance and to counter terrorism and extremism in global indices. In 2016, the UAE ranked first regionally and third globally in the Tolerance Index of the 2016 Yearbook issued by the International Institute for Management Development, IMD, in Switzerland.